Norland Glencoe Log Cabin: The Norland Glencoe is a large cabin at 4m x 6m with a 1.3m canopy to the front. 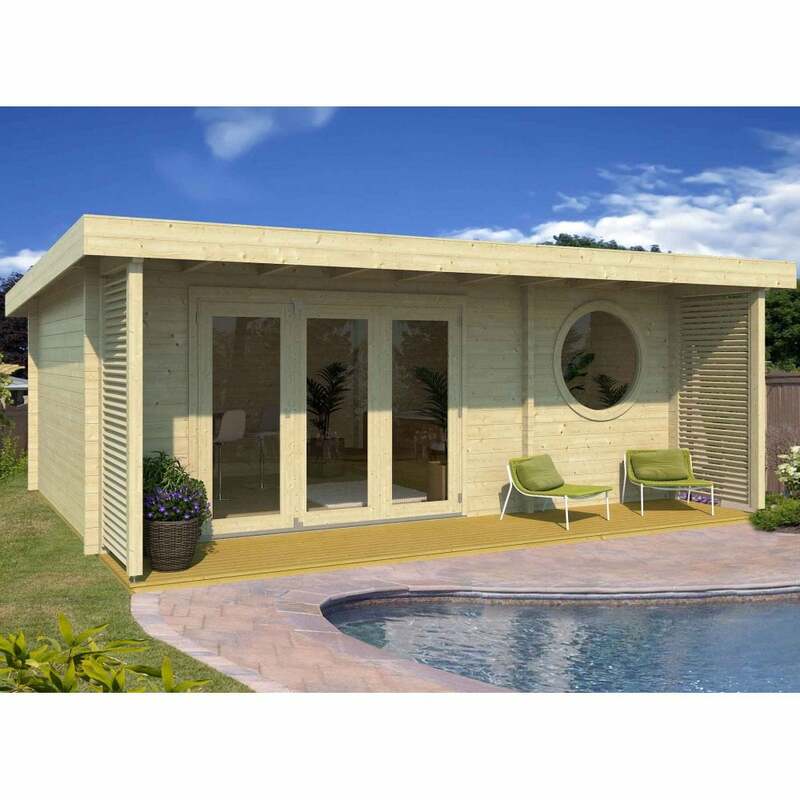 As it is constructed using 70mm wall logs this log cabin is simply ideal for year round use in our often difficult climate. A key feature of 70mm wall logs that is often overlooked is that they give a very good audio – insulation level so if noise is an issue then this building is simply ideal. It features a fixed, and rather uniquely – a round double glazed window and doors making this cabin ideal for efficient and comfortable year round use. There is the option to purchase roof insulation if you want to further enhance this building for use throughout the whole year. This building will be delivered in kit form and has interlocking corner joints for a classic appearance and straightforward build.